This is the 2nd of my 5 book series. It is a stand-alone story with romance, mystery, suspense, and of course the paranormal, but also continues the overall mystery from book 1 (SIGHT), so if you haven’t read the first yet, the details are HERE. SOUND is told from Serena’s point of view. She can hear the future! And not only that, she starts to hear voices from spirits that are haunting the house that the boy she likes lives in. Five extraordinary sisters discover that they each have a unique talent, an extra-sensory perception that enables them to see what others can’t. It makes them incredible, it puts them in danger, and it brings them closer to learning the secrets that have haunted them their entire lives. These are the Delta Girls. Serena and her sisters read a private letter their father wrote to their mother, revealing a clue about his disappearance that they never knew about before. But as they struggle to gain further insight through their sensory visions, trying to solve the mystery continues to prove elusive. The Delta Girls try to move on, balancing their supernatural abilities with the daily trials of being teenagers. Studious Serena teams with the classroom outcast, Lara, and her charming brother, Damon, for a school science project. They end up studying more than they bargained for, though, when strange noises come from rooms in Lara and Damon’s house. There are voices, but only Serena, with her special powers, can hear them. This is until the trio experiment with Electronic Voice Phenomena (EVP) and are able to record and hear them on the computer. Bringing in her extraordinary sisters to help, Serena must figure out who the voices belong to— and what they want—if she is to have a chance at stopping an impending tragedy before it’s too late. SOUND is published by Diversion Books and is now available in both print and ebook from all online retailers, and can be purchased or ordered from physical bookstores as well. 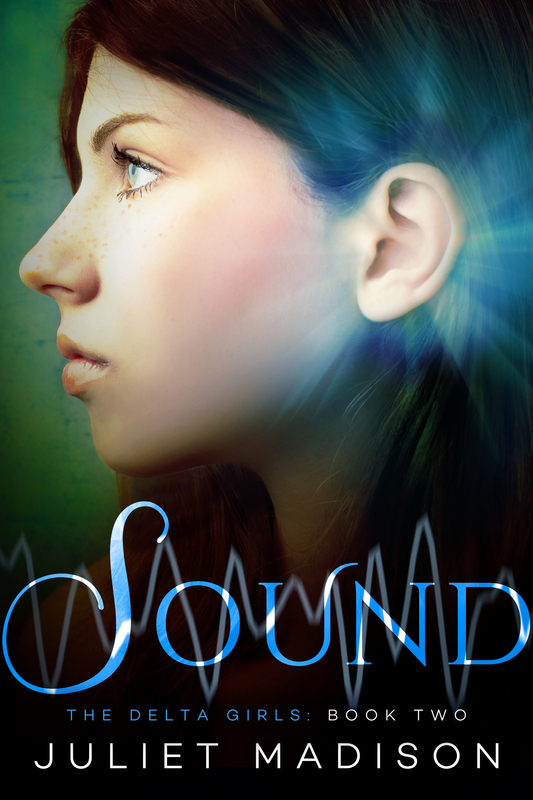 You can also add SOUND to Goodreads HERE. I hope you’ll enjoy the 2nd book in The Delta Girls series! 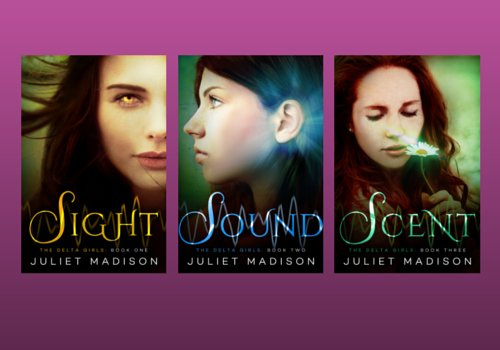 Book 3 (SCENT) is releasing in January 2016. P.S. – For info on the first book in the series, SIGHT, click here. Posted on October 13, 2015, in Announcements, Books and tagged mystery, new release, paranormal, romance, sound, suspense, the delta girls, YA, young adult. Bookmark the permalink. Leave a comment.